Manning holds Giants franchise records for most passing yards, touchdown passes, and completed passes in a career. He led the Giants to victory in Super Bowls XLII and XLVI, defeating the New England Patriots in both games. Manning was named Most Valuable Player in both Super Bowls, becoming one of five players to have multiple Super Bowl MVP awards (Bart Starr and Terry Bradshaw also have two, Joe Montana three and Tom Brady four). Manning started 210 straight games from 2004 to 2017, the second-longest consecutive starts streak by a quarterback in NFL history. He is the seventh all-time leader in passing yards and touchdowns. Though lacking his brother's regular-season consistency and high-caliber performances, Manning is known for his two improbable Super Bowl winning postseason runs in 2007 and 2011, in which he led an underdog Giants squad to Super Bowl victories twice against the Patriots. 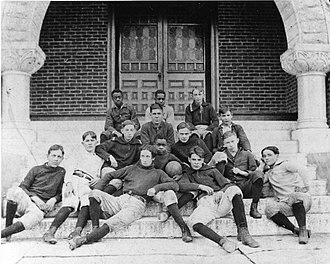 Manning attended Isidore Newman School, where he played football and basketball. During his years with the Rebels at Ole Miss, Manning set or tied 45 single-game, season, and career records. His career numbers include 10,119 passing yards (fifth on the SEC career list), 81 touchdown passes (third on the SEC career list), and a passer rating of 137.7 (tied for sixth on the SEC career list). He led the Rebels to a 10-3 record and a 31–28 SBC Cotton Bowl Classic victory over the Oklahoma State Cowboys in 2003. He was invited to play in the 2004 Senior Bowl, but chose not to play. As his senior year came to a close, Manning won many awards including the Maxwell Award as the nation's best all-around player, the Johnny Unitas Golden Arm Award, the National Football Foundation and College Football Hall of Fame Scholar-Athlete Award, the Sporting News Radio Socrates Award, and the SEC Most Valuable Player Award. He was also a candidate for the 2003 Heisman Trophy, finishing third in the voting after winning quarterback Jason White of the University of Oklahoma and University of Pittsburgh wide receiver Larry Fitzgerald. Manning made his NFL debut in Week 1 against the Philadelphia Eagles. He came into the game toward the end the fourth quarter in relief of Kurt Warner. He finished the 31–17 loss 3-of-9 for 66 yards. Manning made his first career regular season start against the Atlanta Falcons at Giants Stadium on November 21, 2004. In his fourth start, against the Baltimore Ravens at M&T Bank Stadium on December 12, 2004, he ended the day with a 0.0 passer rating and was benched in the second half in favor of Warner, but remained the Giants starter through the end of the season. The Giants finished with a 6–10 record and were 1–6 in games that Manning started in. Following 2004, Warner left the Giants, and Manning was named the starter for 2005. Manning led the Giants to a 2-0 record with victories against the Cardinals and Saints, before traveling to the West Coast for a test in San Diego. Chargers fans did not forget the snub, and on September 25, 2005 when Manning and the Giants made their first trip to San Diego for a game since that draft day, the crowd booed Manning loudly every time he touched the ball. San Diego defeated the Giants, 45–23, but Manning displayed what may have been his most impressive performance of his young career, going 24-of-41 for 352 yards and two touchdowns. Manning finished among the top five quarterbacks in both passing yards and touchdown passes, while leading an offense that finished third in the NFL in scoring with a total of 422 points. It was the most points the Giants scored in a single season since 1963. The Giants won the NFC East with an 11–5 record and advanced to the postseason as the #4-seed. In the Wild Card Round against the Carolina Panthers, Manning was 10-of-18 for 113 yards and three interceptions in the 23–0 loss. Manning's second full season was reminiscent of his 2005 season. He started off playing well and completed over 65 percent of his passes through the first four games. However, he struggled in the second half of the season and his production diminished towards the end of the regular season. After losing a tough game to his brother Peyton and the Colts on opening day, Manning and the Giants rebounded from a 24-7 4th-quarter deficit en route to a 30-24 overtime victory over the division rival Eagles in Week 2. Manning threw for a career-high 371 yards in the win with three touchdowns including a game-winning pass to Plaxico Burress in overtime to earn NFC Offensive Player of the Week. Following a poor performance against Seattle the next week, Manning and the Giants responded by winning five straight games including wins over the Redskins, Cowboys, and Falcons to push their record to 6-2. Manning trained in the Meadowlands with offensive coordinator Kevin Gilbride and new quarterbacks coach Chris Palmer prior to the 2007 regular season. For the first time ever, Plaxico Burress and Jeremy Shockey practiced in the off-season with Manning to perfect their timing and chemistry rather than training alone in Miami as they did in previous years. After a week of criticism in the New York media and being outplayed by Tony Romo, Manning had a bounce-back victory versus their conference wildcard competitors the Detroit Lions. Manning managed to throw for 283 yards and one touchdown but most importantly, no interceptions in a critical road game. The Giants entered the playoffs as the #5-seed. On January 6, 2008, Manning went 20-of-27 for 185 yards playing on the road against the Tampa Bay Buccaneers. The underdog Giants won 24-14, and Manning had two touchdown passes. In front of a record-setting American television audience and on the strength of a late fourth-quarter drive led by Manning, the Giants beat the 12.5 point-favored, undefeated New England Patriots 17–14. Manning takes the snap, back to throw, under pressure, avoids the rush and he's gonna...fight out of it, still fights out of it, now throws it deep down field, wide open Tyree who... MAKES THE CATCH! 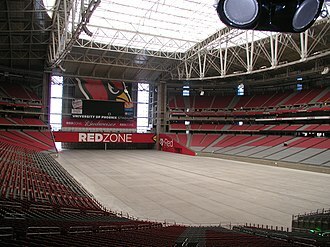 AT THE 24-YARD LINE! What a play by Manning! Manning and the Giants opened the 2008 season with a win over their division rivals, the Washington Redskins, 16–7. "It was a great opening to the season", said Manning, who completed 19 passes of 35 for 216 yards, and had one rushing touchdown and one interception. "There was a lot of emotion, a lot of excitement. You could feel it in the crowd." In the Giants' second game of the year against the St. Louis Rams, they won again, 41–13, behind a stellar Manning performance. Manning finished the game with 20 completions, 260 yards passing and threw three touchdowns to three different receivers. The victory also marked the team's fourth straight victory over the Rams. The following week, Manning rallied the Giants to more fourth quarter magic, overcoming a late deficit to throw the go-ahead touchdown pass to tight end Kevin Boss, and then in overtime, throwing a clutch 31-yard pass to Amani Toomer in the Giants' 26–23 win over Cincinnati. The fourth week of the season saw the Giants score on each of their first six possessions and dominate the Seattle Seahawks, 44–6. Manning threw for two touchdowns, completing 19 of 25 passes for 267 yards as the Giants totaled 523 yards on offense, their most since 2002. Following a poor team performance in a 35–14 loss at Cleveland, Manning and the Giants responded with a 29–17 win over the 49ers and battled to a hard earned 21–14 win over the Steelers at Pittsburgh's Heinz Field. Manning completed 19 of 32 passes for 199 yards and one touchdown in the crucial win, which pushed the Giants to a 6–1 record. The following week, the Giants beat the Dallas Cowboys at home 35-14 to get to 7–1 at the midway point of the regular season. Manning threw three touchdowns in the game. New York improved to 8–1 with a 36–31 win at Philadelphia. Manning threw two touchdowns in the victory, but the crucial play occurred in the third quarter. With the Giants trailing by four, Manning appeared to make an illegal forward pass to tight end Boss. After review, it was determined that the pass was legal. The Giants scored a touchdown two plays later. Week nine pitted the Giants in a battle with the visiting Baltimore Ravens. The Ravens had come into the game with the league's third-ranked defense; nevertheless, Manning led the Giants to a decisive 30–10 victory, improving to 9–1, which included a 200-yard rushing effort by running backs Brandon Jacobs, Derrick Ward and Ahmad Bradshaw. Two weeks later, the Giants faced the Redskins at Washington in their second encounter in the season. Manning threw his first 300-yard game of the season going 21-of-34 with an interception and a 40-yard touchdown pass to Toomer. The Giants beat the Redskins 23–7. In November, Manning was named the NFC Offensive Player of the Month. For the month, Manning threw for 1,036 yards and ten touchdowns, and compiled a 94.9 passer rating while leading the Giants to a perfect 5–0 record. Manning was named to his first Pro Bowl on December 16, making him the first Giants quarterback to earn the honor since Phil Simms in 1993. In week 15, Manning and the Giants visited Texas Stadium, where Tony Romo battled through a lower back contusion and connected with nine different receivers, finishing 20-of-30 for 244 yards and two touchdowns leading the Dallas Cowboys to a 20-8 victory. In week 16 against the Carolina Panthers with NFC homefield advantage on the line, Manning had a passing day of 17 of 27 for 181 yards and no interceptions. Manning led the Giants back from deficits of 21–10 and 28–20 to tie the game with just over three minutes left, including a bullet pass to Domenik Hixon for a key two-point conversion to tie the game at 28. The game was played in freezing conditions. On August 5, 2009, he signed a six-year US$97.5 million contract extension. Manning and the Giants opened the 2009 season with a win over their division rivals the Washington Redskins, 23-16. Manning played well completing 20 of 29 passing attempts for 256, one touchdown and one interception. Manning and the Giants traveled to Dallas to play the Cowboys in the opening of their new Cowboys Stadium on Sunday Night Football. Manning played outstanding completing 25 of 38 passing attempts for 330 yards, two touchdowns and no interceptions which resulted in a 33-31 win for the Giants on a last second field goal. In week three Manning and the Giants played the Tampa Bay Buccaneers where he completed 14 of 24 passes for 161 yards, two touchdowns and no interceptions and as the Giants had a big lead he was taken from the game at the start of the second quarter, the Giants ended up winning 24-0. In Week 4, the Giants played the Kansas City Chiefs. Manning was playing well up until the start of the fourth quarter when on a play action fake Manning injured his heel while passing downfield to Steve Smith. He stayed in for the next play completing a 54-yard touchdown to Hakeem Nicks. It was discovered that Manning had plantar fasciitis (inflammation of connective tissue within the soles of the feet) and there was speculation he would not play against the Oakland Raiders in Week 5. However, in Week 5, Manning played well, completing eight of ten passes for 173 yards and two touchdowns with the Giants winning 44-7. This was the first time in his career that Manning had a posted a perfect passer rating. 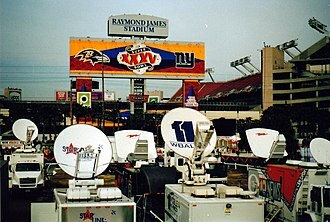 The next week, in the final game in Giants Stadium, Manning and the Giants embarrassed themselves, losing 41-9 against the Carolina Panthers and repeated that feat the next week on the road against the Minnesota Vikings in the final regular season game, losing 44-7 while down 38 points in the 4th quarter. After the games, Manning apologized to the fans for the team's performance. The Giants finished the 2009 season with an 8–8 record and missed the playoffs. Manning ended the 2009 season with career highs including 4,021 passing yards, 27 touchdowns, a 62.3 completion percentage rating, and a passer rating of 93.1. 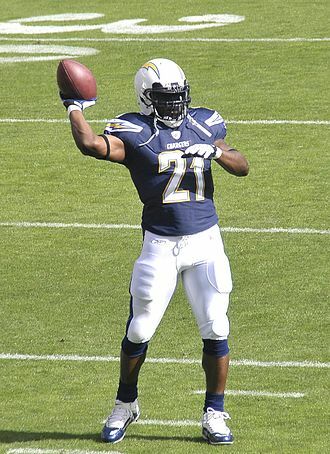 On August 16 during a preseason game against the New York Jets, Manning was hit by Brandon Jacobs, then by Calvin Pace, which knocked off his helmet, then went face first into Jim Leonhard's face mask. As a result, Manning had a large gash that needed 12 stitches. Manning left the game. The Giants ended the 2010 NFL season with a 10-6 record with losses coming against the Indianapolis Colts, the Tennessee Titans, the Dallas Cowboys, the Philadelphia Eagles and the Green Bay Packers. Manning led the Giants to a 17-14 win in the last game of the season against the Washington Redskins, however, because of Green Bay Packers 10-3 win over the Chicago Bears, the Giants did not make the playoffs. The Packers went on to win Super Bowl XLV. He ended the season with 4,002 yards, a career-high 31 touchdowns, but also a career-high 25 interceptions, which marked the most by a quarterback in the 2010 season, and a 62.5 completion percentage. I consider myself in that class. Tom Brady is a great quarterback... I think now he's grown up and gotten better every year and that's what I'm trying to do. I kind of hope these next seven years of my quarterback days are my best. Manning received criticism for the quote for trying to inflate his own status and skills, with critics pointing out his past inconsistent stats, including his 25 interceptions in the previous season, as evidence contradicting his claims. However, Manning also received support for his comments from Giants coach Tom Coughlin and teammates such as wide receiver Hakeem Nicks. Later in the season, Dallas Cowboys defensive coordinator Rob Ryan commented on the quote, agreeing with Manning that he was an elite quarterback "for sure." The Giants opened the 2011 season with a slow start, losing to the rival Washington Redskins 14-28 in an emotional game for both fanbases on the 10th anniversary of the September 11 attacks. Manning completed 18 of 32 passes for 268 yards but threw a costly interception in the third quarter to linebacker Ryan Kerrigan, who returned it for a touchdown and swung the momentum of the game. However, the Giants would recover and win their next three games, including over the arch-rival Philadelphia Eagles, where he had 254 passing yards and four touchdowns in the 29–16 victory to earn NFC Offensive Player of the Week. During this streak, Manning improved, throwing for eight touchdowns and one interception. The Giants entered the 2011 postseason as underdogs, with the lowest winning record of any NFC team. However, Manning and his team would once again demonstrate their endurance and durability late in the year. The Giants first easily routed the Atlanta Falcons 24-2 in the Wild Card round and then stunned the defending Super Bowl champions and top-seeded Green Bay Packers to advance to the NFC Championship Game. In the win, Manning completed 21 out of 33 attempts and threw three touchdowns and one interception. The following week, the Giants avenged their regular season loss to the San Francisco 49ers with a dramatic 20-17 overtime win in the NFC Championship Game. In the game, Manning set franchise playoff records with 32 completions on 52 attempts, good enough for 316 yards and two touchdowns despite being sacked a franchise-record-tying six times. This victory secured Manning and the Giants a second trip in five years to the Super Bowl, setting up a highly anticipated Super Bowl XLII rematch against Tom Brady and the New England Patriots. The Giants also made history as the first Super Bowl team ever team outscored in the regular season (394 points scored, 400 points allowed). In the most-watched program in the history of United States television, Manning once again led the Giants to an upset victory over the 2½ point favored Patriots 21-17, his second Super Bowl win and the fourth overall for the franchise. I was yelling to [Bradshaw], "Don't score, don't score", Manning said. "He tried to stop, but he fell into the end zone." While trailing the Patriots 15-17 in the final minutes, Manning led the Giants 88 yards down the field to a touchdown that many observers described as "accidental.". With just over a minute of time left in the game, the Giants called a running play and Manning handed off the ball to Ahmad Bradshaw with the hopes of stopping short of the goal line and forcing the Patriots to use their final time out, thus allowing the Giants to run out the clock. The Patriots, in turn, did not attempt to tackle Bradshaw in his run, and he then fell over the goal line despite making an attempt to stop. However, the remaining time was not enough for Patriots quarterback Tom Brady to lead a comeback and the Giants held onto the lead to win. Manning was again named the Most Valuable Player of Super Bowl XLVI, becoming the third quarterback in a row to win the award. The Giants also became the first team ever with fewer than ten wins in a 16-game regular season to win the Super Bowl. Manning also became the first quarterback in NFL history to throw for 4,900+ yards and win a Super Bowl in the same season. The Giants were the first team with a running game ranked last (32nd) and a defense ranked as low as 27th to win a Super Bowl. The Giants would endure a disappointing season following up their Super Bowl run in 2011. Manning led the Giants to a 6-2 record to begin their season, including a career-best 510 yards in a Week 2 win over Tampa Bay (second only to Phil Simms' 513 in 1985 for the franchise record), overcoming three interceptions and a fumble. However, Manning averaged an anemic 204 yards per game and 74.3 passer rating over games 8-15, including his lowest rating in five years (38.9) in a 0-34 loss to Atlanta in Game 14. He ended the 2012 season on a high note, throwing a career-high five touchdown passes while completing 13 of 21 pass attempts and passing for 208 yards with no interceptions, in a 42-7 Giants win over the Philadelphia Eagles. He finished the season with 26 touchdown passes, 15 interceptions, and 3,948 passing yards. As was typical for this phase of his career (2012–16), Manning was exceptionally well-protected by his offensive line; he was sacked just 19 times for a league-lowest 3.4% of passing plays. 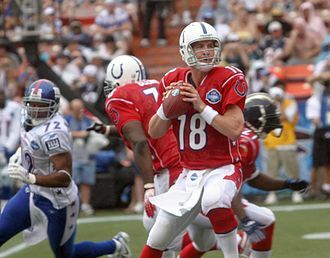 Although the Giants did not qualify for the playoffs with a 9–7 season, Manning was selected to his third Pro Bowl as a second alternate. Manning led the Giants to start off the season with an 0-6 record, the worst regular season start since 1976. He threw 12 interceptions in his first five games. Manning fell to 0-3 against his older brother, Peyton in Week 2's 41-23 loss to the Denver Broncos. He was 28 of 39 for 362 yards, but was intercepted four times. Manning's four interceptions tied his career high and was the fourth time he threw four picks in a game. The game between Peyton and Eli was the final professional meeting of the two brothers. In Week 15, Manning threw a career-high five interceptions in a 23-0 loss to the Seattle Seahawks. Manning ended the season with a career-high 27 interceptions. The Giants finished the season 7-9, their first losing record since Manning's rookie year. Manning passed Phil Simms to become the franchise's all-time leader in yards passing. Simms, who played 14 seasons with the Giants, finished his career with 33,462 yards in the air. He was ranked 43rd by his fellow players on the NFL Top 100 Players of 2014. After an 0-2 start, the Giants won three straight games but subsequently lost their next seven games including a 16-10 loss to the San Francisco 49ers in a game where Manning threw five interceptions, which tied his career high. The Giants won three of their last four games to end the season with a 6–10 record. Manning finished the season with 30 touchdown passes, 14 interceptions, and 4,410 passing yards. A few days before the Giants' regular season opener against the Dallas Cowboys, Manning signed a four-year, US$84 million extension with the Giants. In Week 5, he had a franchise-record 41 completions for 441 passing yards, three touchdowns, and one interception in a 30–27 victory over the San Francisco 49ers to earn NFC Offensive Player of the Week. Through six games, he led the Giants to a 3-3 record and a tie for first place in the NFC East. In Week 8, Manning threw a career-high six touchdowns and 350 yards, but the Giants lost to the New Orleans Saints, 52-49. In Week 14, in a 31–24 victory over the Miami Dolphins, he was 27-of-31 for 337 passing yards and four touchdowns to earn NFC Offensive Player of the Week. After starting the season 5-5, Giants fell to 1-5 the rest of the way to finish 6-10 for the second straight season. In the 2016 season opener against their divisional rival Dallas Cowboys on September 11, Manning threw 3 touchdowns and 1 interception for 207 yards, as the Giants would hang on to win 20–19. On October 16, in a victory over the Baltimore Ravens, Manning threw for three touchdowns, reaching a career total of 302 touchdown passes and passing John Elway for seventh all time. On February 4, 2017, Manning and Cardinals wide receiver Larry Fitzgerald both won the Walter Payton NFL Man of the Year Award, making it the first time since the 2006 season that two players were co-winners of this award (Drew Brees and LaDainian Tomlinson). Manning started the 2017 off with a 19–3 loss to the Dallas Cowboys on NBC Sunday Night Football. In the game, he had 220 passing yards, no touchdowns, and no interceptions, but the offense struggled to sustain consistent success. Despite solid performances from Manning, the Giants dropped the next four games to start the season with a 0–5 record, with the last three games of that stretch being lost by a combined 10 points. The Giants broke their losing streak with a 23–10 victory over the Denver Broncos. The success was short-lived as the Giants lost the next game to the Seattle Seahawks by a score of 24–7. During Week 9 against the Los Angeles Rams, Manning finished with 220 passing yards, 2 touchdowns, and an interception as the Giants lost by a score of 51–17. During the Rams game, he became the seventh quarterback to reach 50,000 passing yards. On November 28, after a 2–9 start to the season, it was announced that Manning would be benched and replaced by Geno Smith in Week 13, ending Manning's streak of 210 consecutive regular season games started. The streak was second all-time for quarterbacks behind Brett Favre's 297. Head coach Ben McAdoo also gave Manning the option of starting to keep the streak going but Manning declined, stating that "My feeling is that if you are going to play the other guys, play them. Starting just to keep the streak going and knowing you won't finish the game and have a chance to win it is pointless to me, and it tarnishes the streak." The move was met with backlash from former Giants players and coaches. On December 5, two days after the Week 13 game, Manning was renamed the starter after McAdoo was terminated as head coach. During Week 15 against the Eagles, Manning finished with 434 passing yards, 3 touchdowns, and an interception. The Giants lost 29–34, allowing the Eagles to clinch a first-round bye. On December 24, against the Arizona Cardinals, Manning passed John Elway to take sole possession of sixth place on the NFL's all-time passing yard list. Manning started the regular season finale against the Washington Redskins. In the 18–10 victory, he had 132 passing yards, one touchdown, and one interception as the Giants ended their disappointing season with a 3–13 record. Following speculation that Manning would be released, new Giants head coach Pat Shurmur put these rumors aside by saying "I think what's important is we have a guy (Manning) here who has helped this organization win Super Bowls. He's an outstanding player and I'm really looking forward to working with him." After two losses to the start the season, Manning and the Giants defeated the Houston Texans 27–22. Manning was efficient going 25-of-29 for 297 passing yards and two touchdowns. The Giants lost the next five consecutive games, with Manning leading the leagues in sacks for most of that stretch despite an improved running game from rookie Saquon Barkley. Manning had 399 yards passing in the fourth of these losses (Game 7 against the Atlanta Falcons), but was sacked seven times and threw two interceptions in Game 8. Manning rebounded with three touchdowns and no interceptions in the following week's victory over San Francisco, and a remarkable 17 completions on 18 attempts for two touchdowns in a win the following week over Tampa Bay. 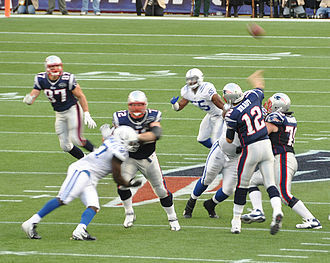 Manning drops back to pass on January 15, 2012. Manning, his brothers Peyton and Cooper, and their parents Archie and Olivia all appeared in an ESPN This is SportsCenter ad from 2006. He is a spokesman for Citizen Watch Co., Toyota of New Jersey, and Reebok. 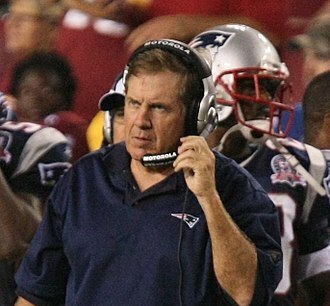 He reportedly received several more endorsement offers after reaching Super Bowl XLII. In 2007, he proposed to Abby McGrew of Nashville, Tennessee. McGrew studied fashion in New York City, and has been with Manning since their days at the University of Mississippi. The couple wed in a private ceremony held in San José del Cabo, Mexico on April 19, 2008. Manning and Abby have three daughters. They reside, during the season, in Hoboken, New Jersey. Eli and Peyton Manning volunteered in the wake of Hurricane Katrina. 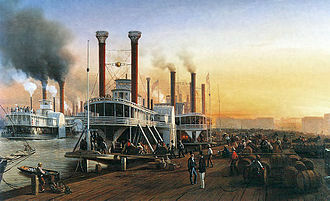 The Mannings assisted in the delivery of 30,000 pounds (14,000 kg) of water, Gatorade, baby formula, pumice, and pillows to the people of New Orleans. After touring the University of Mississippi Medical Center's Blair E. Batson Hospital for Children, he undertook a five-year campaign in 2007 to raise US$2.5 million for the construction of "The Eli Manning Children's Clinics" at the children's hospital. Manning said in 2007, "I am humbled by the work they do and am honored to make this five-year commitment to help raise funds to build this state-of-the-art clinic that will serve Mississippi families for years to come." His father, Archie Manning, has also raised funds for Katrina relief efforts. ^ Stewart, Mark (2009). Eli Manning. Gareth Stevens. p. 6. ^ New York Giants Career Passing Register, pro-football-reference.com; accessed February 6, 2014. ^ "NFL Career Passing Touchdowns Leaders - Pro-Football-Reference.com". pro-football-reference.com. Retrieved February 8, 2017. ^ "The Most Clutch Postseason Quarterback Of All Time Is Eli Manning". January 12, 2015. Retrieved January 25, 2018. ^ "A Look Back at Eli Manning". USA TODAY High School Sports. December 26, 2013. Retrieved March 14, 2018. ^ O'Connor, Ian. "H.S. coach: Eli was always a Manning". ESPN.com. Retrieved March 14, 2018. ^ "GAME NOTES: Rebels Face OSU In Cotton Bowl Return". Ole Miss Athletics. Retrieved December 7, 2017. ^ "Cotton Bowl - Oklahoma State vs Mississippi Box Score, January 2, 2004". 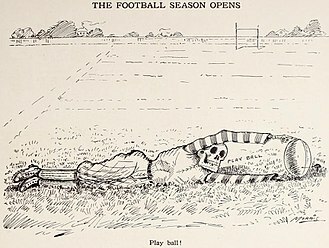 College Football at Sports-Reference.com. Retrieved December 7, 2017. ^ a b "Eli Manning-players-nflplayers.com". NFL Players Association. Archived from the original on May 22, 2006. Retrieved March 5, 2008. ^ James, Matt (December 14, 2003). "Heisman Won By A QB For 4th Straight Year". CollegeFootballPoll.com. Archived from the original on January 26, 2008. Retrieved January 22, 2008. ^ "2003 Heisman Trophy Voting". College Football at Sports-Reference.com. Retrieved January 28, 2018. ^ SI.com (January 21, 2007). "Eli Manning Bio". SI.com. Archived from the original on April 26, 2004. Retrieved January 22, 2008. ^ a b David Collins. "Eli Manning's College Statistics & Records". University of Mississippi. Retrieved January 21, 2007. ^ a b "LSU At Mississippi This Saturday". footballfoundation.com. November 20, 2003. Archived from the original on June 16, 2004. Retrieved March 5, 2008. ^ Mike Fitzpatrick (April 24, 2004). "NFL DRAFT 2004: First-Round Draft Thumbnails". Associated Press. Retrieved March 5, 2008. ^ a b c d "Eli Manning Bio". Sports Illustrated. January 21, 2007. Archived from the original on April 26, 2004. ^ a b c d e f g "House Concurrent Resolution no. 124" (PDF). 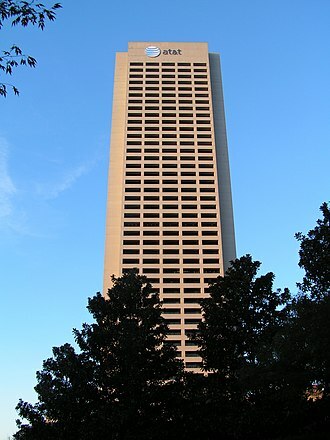 Mississippi Legislature. Retrieved March 5, 2008. 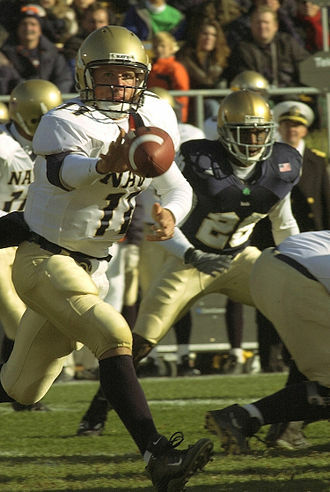 ^ "2003 National Scholar-Athlete Class Announced". footballfoundation.com. January 21, 2008. Archived from the original on August 28, 2005. Retrieved October 29, 2003. ^ "Eli Manning bio". www.jockbio.com. Retrieved November 1, 2007. ^ "Rivals.com". Archived from the original on January 20, 2004. ^ Steve Serby (April 24, 2004). "Eli Manning Revisits Drama of the Draft Day That Changed Giants History". New York Post. Retrieved December 17, 2015. ^ a b Spotrac.com. "Eli Manning". spotrac.com. Retrieved February 8, 2017. ^ "2004 NFL Draft Listing". Pro-Football-Reference.com. Retrieved January 3, 2018. ^ "Best quarterback class ever? Trio from '04 makes its case over '83". Archived from the original on August 31, 2009. ^ "New York Giants at Philadelphia Eagles - September 12th, 2004". Pro-Football-Reference.com. Retrieved January 3, 2018. ^ "Atlanta Falcons at New York Giants - November 21st, 2004". Pro-Football-Reference.com. Retrieved January 3, 2018. ^ "New York Giants at Baltimore Ravens - December 12th, 2004". Pro-Football-Reference.com. Retrieved January 3, 2018. ^ "Eli Manning 2004 Game Log". Pro-Football-Reference.com. Retrieved January 3, 2018. ^ "2004 New York Giants Statistics & Players". Pro-Football-Reference.com. Retrieved January 28, 2018. ^ "Eli Manning 2004 Game Log". Pro-Football-Reference.com. Retrieved January 28, 2018. ^ "Warner won't be Eli's backup for next year". sports.espn.go.com. Associated Press. December 30, 2004. Retrieved January 22, 2008. ^ Jerry Magee (September 21, 2005). "Nothing personal, San Diego; Eli Manning just didn't want to be a Charger". Union-Tribune. Archived from the original on October 3, 2005. Retrieved February 9, 2008. ^ Edelson, Stephen (September 20, 2005). "At 2-0, Giants taking baby steps toward bigger things". USA Today. Retrieved January 22, 2008. ^ "Giants Fall to Chargers, 45-23". giants.com. September 25, 2005. Archived from the original on October 18, 2005. Retrieved January 22, 2008. ^ Michael Eisen (September 25, 2005). "Chargers 45, Giants 23: Inside the Numbers!". giants.com. Archived from the original on January 18, 2008. Retrieved January 22, 2008. ^ "Giants versus Rams recap". ESPN.com. Retrieved January 22, 2008. ^ a b "Giants versus Broncos recap". ESPN.com. Retrieved January 22, 2008. ^ "Minnesota Vikings at New York Giants - November 13th, 2005". Pro-Football-Reference.com. Retrieved January 3, 2018. ^ "NFL Stats 2005 Season". NFL.com. Retrieved March 16, 2012. ^ "NFL Stats: by Player Position 2005 Season". NFL.com. Retrieved March 16, 2012. ^ "2005 NFC East Final Standings". Team Giants.com. Retrieved January 22, 2008. ^ "2005 NFL Standings & Team Stats". Pro-Football-Reference.com. Retrieved January 28, 2018. ^ "Wild Card - Carolina Panthers at New York Giants - January 8th, 2006". Pro-Football-Reference.com. Retrieved January 3, 2018. ^ Porter, David (September 8, 2006). "Hype aside, Colts game should offer gauge of Eli Manning's progress". Associated Press. Archived from the original on December 6, 2008. Retrieved January 22, 2008. ^ Pedulla, Tom (September 18, 2006). "Manning, Giants rally to stun Eagles with overtime road victory". USA Today. Retrieved August 19, 2011. ^ Rob Maaddi (September 17, 2006). "NY Giants 30, Philadelphia 24, OT". AP Sports. Retrieved January 22, 2008. ^ "2006 NFL Week 2 Leaders & Scores". Pro-Football-Reference.com. Retrieved April 3, 2018. ^ "Seattle 42, New York Giants 30". Yahoo! Sports. September 26, 2006. Retrieved January 22, 2008. ^ Joe Pascale (November 12, 2006). "Today's big game: Bears (7-1) at Giants (6-2)". SignOnSanDiego.com. Archived from the original on December 6, 2008. Retrieved January 22, 2008. ^ Tom Canavan (November 8, 2006). "Giants receiver Amani Toomer out for year with knee injury". USA Today. Associated Press. Retrieved January 22, 2008. ^ ESPN.com news services (November 14, 2006). "Depleted Giants lose Petitgout to fractured left leg". ESPN. Retrieved January 22, 2008. ^ "Box Score". USA Today. November 21, 2006. Retrieved January 22, 2008. ^ John Branch (November 28, 2006). "Day After Debacle, the Giants Close Ranks". The New York Times. Retrieved January 22, 2008. ^ ESPN.com (December 10, 2006). "NY Giants 27, Carolina 13". ESPN. Archived from the original on December 8, 2008. Retrieved January 22, 2008. ^ "New Orleans Saints at New York Giants - December 24th, 2006". Pro-Football-Reference.com. Retrieved January 3, 2018. ^ "New York Giants at Washington Redskins - December 30th, 2006". Pro-Football-Reference.com. Retrieved January 3, 2018. ^ "2006 NFL Standings & Team Stats". Pro-Football-Reference.com. Retrieved January 28, 2018. ^ "Westbrook, Garcia keep streaking Eagles' train rolling". Associated Press. January 7, 2007. Retrieved January 22, 2008. ^ ESPN.com. "#10 Eli Manning QB". ESPN. Retrieved January 22, 2008. ^ "2006 NFL Passing". Pro-Football-Reference.com. Retrieved January 28, 2018. ^ Michael Eisen (January 29, 2007). "Giants Name Chris Palmer Quarterbacks Coach". Giants.com. Archived from the original on January 18, 2008. Retrieved January 22, 2008. ^ Paul Schwartz (May 9, 2007). "Plax Arrives to Work Out". New York Post. Archived from the original on May 11, 2007. Retrieved January 22, 2008. ^ Steve Serby (May 23, 2007). "Shockey Sure It'll Work Out". New York Post. Archived from the original on May 25, 2007. Retrieved January 22, 2008. ^ Ralph Vacchiano (March 21, 2007). "Shockey, Burress no-shows at Giants camp". New York Daily News. Retrieved January 22, 2008. ^ "Dallas 45, New York Giants 35". Yahoo! Sports. September 12, 2007. Retrieved January 22, 2008. ^ Fox Sports (September 11, 2007). "Manning (shoulder) in doubt for Giants". MSN. Archived from the original on September 13, 2007. Retrieved January 22, 2008. ^ a b "Favre now winningest QB in NFL history after Packers' win". ESPN. September 16, 2007. Retrieved January 22, 2008. ^ CBS Sports (September 23, 2007). "Giants stun Redskins with late rally, goal-line stand". Associated Press. Archived from the original on October 15, 2007. Retrieved January 22, 2008. ^ Chuck Johnson (October 1, 2007). "Umenyiora, Giants sack Eagles in record fashion". USA Today. Retrieved January 22, 2008. ^ "Umenyiora, Giants sack Eagles 16-3". Associated Press. October 1, 2007. Archived from the original on November 16, 2007. Retrieved January 22, 2008. ^ "Giants – Jets". teamgiants.com. Retrieved January 22, 2007. ^ "Giants Rally to Defeat Jets 35-24". Boxxet.com. Archived from the original on January 20, 2008. Retrieved November 20, 2007. ^ John Branch (October 16, 2007). "Giants Coast to Their Fourth Straight Victory". The New York Times. Retrieved January 22, 2008. ^ Michael Eisen (October 15, 2007). "Giants defeat Falcons, 31-10". Giants.com. Archived from the original on February 22, 2008. Retrieved January 22, 2008. ^ Michael David Smith (October 22, 2007). "Giants Dominate Niners on Both Sides of Ball". The New York Sun. Retrieved January 22, 2008. 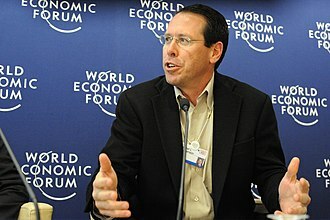 ^ Ernie Palladino (October 22, 2007). "Giants look for normalcy as they prepare for London". USA Today. Retrieved January 22, 2008. ^ a b "Giants outlast Dolphins in London fog, mud". Associated Press. October 28, 2007. Archived from the original on October 29, 2007. Retrieved January 22, 2008. ^ "Cowboys Hogtie Giants in Battle For NFC". New York Daily News. November 11, 2007. Retrieved November 20, 2007. ^ Vacchiano, Ralph (November 14, 2007). "John Mara and the Giants Sticking with Eli Manning". New York Daily News. Retrieved November 20, 2007. ^ "Giants Defense Comes Up Big in 16 to ten Victory". New York Daily News. November 18, 2007. Retrieved November 19, 2007. ^ Larry Lage (November 18, 2007). "NY Giants 16, Detroit 10". Associated Press. Archived from the original on October 25, 2012. Retrieved January 22, 2008. ^ Youngmiusk, Ohm (November 19, 2007). "Eli Manning Quietly Passes A Big Test". New York Daily News. Retrieved November 19, 2007. ^ "Vikings intercept Manning four times, return three for TDs". NFL.com. Associated Press. November 25, 2007. Archived from the original on March 11, 2008. Retrieved March 8, 2008. ^ "The Patriots complete their perfect regular season, beat Giants". NFL.com. Associated Press. December 29, 2007. Archived from the original on January 2, 2008. Retrieved March 8, 2008. 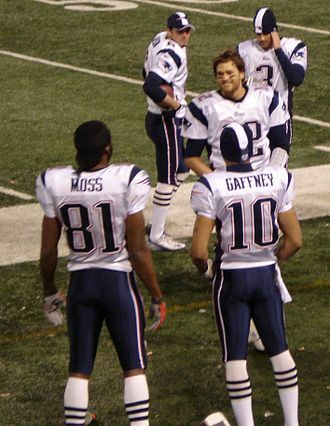 ^ "New England Patriots at New York Giants - December 29th, 2007". Pro-Football-Reference.com. Retrieved January 3, 2018. ^ "2007 NFL Standings & Team Stats". Pro-Football-Reference.com. Retrieved January 28, 2018. ^ "Giants march on after beating host Buccaneers". NFL.com. Associated Press. January 6, 2008. Archived from the original on March 11, 2008. Retrieved March 8, 2008. ^ a b "Cowboys fall short on last effort as Giants move on to face Packers". Associated Press. January 13, 2008. Retrieved January 22, 2008. ^ "Cowboys fall short on last effort as Giants move on to face Packers". ESPN. January 13, 2008. Retrieved June 1, 2008. ^ "Third Tynes a charm: Kicker boots Giants into Super Bowl". Associated Press. January 20, 2008. Archived from the original on January 22, 2008. Retrieved January 22, 2008. ^ Vacchiano, Ralph (January 21, 2008). "Giants beat Packers in overtime, will battle Patriots in Super Bowl XLII". New York Daily News. Retrieved January 21, 2008. ^ Eisen, Michael (January 21, 2008). "Giants Advance to Super Bowl XXLI". Giants.com. Archived from the original on January 22, 2008. Retrieved January 21, 2008. ^ Bauder, David (February 4, 2008). "Record 97.5 million watched Super Bowl". Los Angeles Daily News. Archived from the original on February 7, 2008. Retrieved February 4, 2008. ^ Eli Manning, David Tyree (2008-02-03). SB XLII Can't-Miss Play: Eli miracle (.flv) (Web video). National Football League. Event occurs at three seconds. Retrieved 2008-03-27. 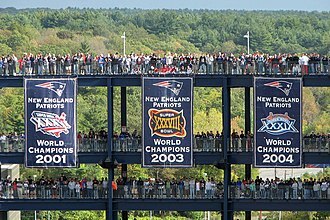 ^ "Patriots nearly perfect, but the Giants are Super Bowl champions". NFL.com. Associated Press. February 7, 2008. Archived from the original on March 9, 2008. Retrieved March 8, 2008. ^ Elias Sports Bureau, Inc. (February 3, 2008). "Elias Says..." ESPN.com. Archived from the original on February 13, 2008. Retrieved March 8, 2008. ^ Byrne, Kerry J. (February 26, 2008). "Eli stands alone". Cold, Hard Football Facts.com. Archived from the original on January 7, 2010. Retrieved May 9, 2010. 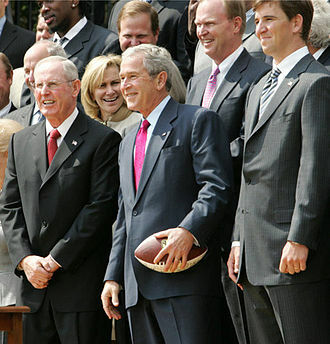 ^ "President Bush calls NY Giants to offer Super Bowl congratulations". NJ.com. Associated Press. February 4, 2008. Retrieved February 9, 2008. ^ Lapointe, Joe (February 4, 2008). "Manning Keeps Cool, and Keeps a Drive Alive". The New York Times. Retrieved January 15, 2012. 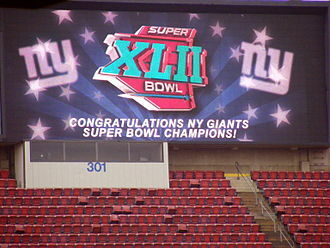 ^ "Facts about Super Bowl XLII". NFL.com. Archived from the original on February 2, 2008. Retrieved February 4, 2008. ^ a b "Super start for Giants, then a battle for victory". MSNBC.com. Associated Press. September 4, 2008. Archived from the original on September 5, 2008. Retrieved September 14, 2008. ^ a b c "Manning tosses three TDs; defense sacks Bulger six times in win". ESPN.com. Associated Press. September 14, 2008. Retrieved September 14, 2008. ^ "Giants score on their first six possessions in blowout win over Seahawks". NFL.com. Associated Press. October 5, 2008. Archived from the original on October 6, 2008. Retrieved October 6, 2008. ^ "Browns knock Giants from the ranks of the undefeated". NFL.com. Associated Press. October 13, 2008. Archived from the original on December 23, 2008. Retrieved March 22, 2009. ^ "Giants labor to defeat sloppy 49ers 29–17". USA Today. Associated Press. October 19, 2008. Retrieved March 22, 2009. ^ a b "Giants use late fourth-quarter comeback to down Steelers". NFL.com. Associated Press. October 26, 2008. Archived from the original on December 24, 2008. Retrieved March 22, 2009. ^ "Dallas Cowboys at New York Giants - November 2nd, 2008". Pro-Football-Reference.com. Retrieved January 3, 2018. ^ "New York Giants at Philadelphia Eagles - November 9th, 2008". Pro-Football-Reference.com. Retrieved January 3, 2018. ^ "Baltimore Ravens at New York Giants - November 16th, 2008". Pro-Football-Reference.com. Retrieved January 3, 2018. ^ "New York Giants at Washington Redskins - November 30th, 2008". Pro-Football-Reference.com. Retrieved January 3, 2018. ^ a b "Giants.com - The Official Website of the New York Giants". Archived from the original on December 17, 2008. Retrieved December 16, 2008. ^ "2008 NFL Pro Bowlers". Pro-Football-Reference.com. Retrieved April 3, 2018. ^ "Ward's 215 Yards Help Giants Beat Panthers in OT". ESPN. December 22, 2008. Retrieved December 17, 2015. ^ "2008 NFL Standings & Team Stats". Pro-Football-Reference.com. Retrieved January 28, 2018. ^ "Eagles win, will face Cards in NFC title game". ESPN.com. Associated Press. January 11, 2009. Retrieved March 22, 2009. ^ "NFL Football Schedule - 2009 NFL Schedule". ^ "New York Giants at Dallas Cowboys - September 20th, 2009". Pro-Football-Reference.com. Retrieved January 3, 2018. ^ "New York Giants at Tampa Bay Buccaneers - September 27th, 2009". Pro-Football-Reference.com. Retrieved January 3, 2018. ^ "Oakland Raiders at New York Giants - October 11th, 2009". Pro-Football-Reference.com. Retrieved January 3, 2018. ^ "Eli Manning Career Game Log". Pro-Football-Reference.com. Retrieved January 3, 2018. ^ "Falcons vs. Giants - Game Summary - November 22, 2009 - ESPN". ESPN.com. Retrieved January 25, 2018. ^ "New York Giants at Denver Broncos - November 26th, 2009". Pro-Football-Reference.com. Retrieved January 3, 2018. ^ "Philadelphia Eagles at New York Giants - December 13th, 2009". Pro-Football-Reference.com. Retrieved January 3, 2018. ^ Reid, Jason (December 22, 2009). "Giants embarrass Redskins, 45-12". Retrieved January 25, 2018 – via www.washingtonpost.com. ^ "Carolina Panthers at New York Giants - December 27th, 2009". Pro-Football-Reference.com. Retrieved January 3, 2018. ^ "New York Giants at Minnesota Vikings - January 3rd, 2010". Pro-Football-Reference.com. Retrieved January 3, 2018. ^ "Coughlin and Manning lead Giant apologies". New York Daily News. Retrieved January 25, 2018. ^ "2009 NFL Standings & Team Stats". Pro-Football-Reference.com. Retrieved January 28, 2018. ^ "Eli Manning: Career Stats at NFL.com". www.nfl.com. Retrieved January 25, 2018. ^ "Eli Manning". ESPN.com. Retrieved January 25, 2018. ^ NFL.com (August 16, 2010). "NFL GameCenter". Retrieved November 3, 2010. ^ "2010 New York Giants Statistics & Players". Pro-Football-Reference.com. Retrieved January 3, 2018. ^ "2010 NFL Standings & Team Stats". Pro-Football-Reference.com. Retrieved January 28, 2018. ^ NFL.com. "New York Giants schedule". Retrieved November 3, 2010. ^ NFL.com. "NFL GameCenter". Retrieved November 3, 2010. ^ Ehalt, Matt (2011-08-18). "Eli Manning: I'm in class with Tom Brady". ESPN New York. Retrieved 2012-03-14. ^ Florio, Mike (August 17, 2011). "Eli makes his case for elite status". NBC Sports. Retrieved March 14, 2012. ^ Sandler, Ariel (August 17, 2011). "Eli Manning Has Classified Himself As An Elite Quarterback". Business Insider. Archived from the original on November 12, 2011. Retrieved March 14, 2012. ^ Vacchiano, Ralph (August 17, 2011). "Giants quarterback Eli Manning says he belongs in the same class as Patriots signal-caller Tom Brady". New York Daily News. Retrieved March 14, 2012. ^ Smith, Michael David (December 9, 2011). "Rob Ryan: Eli Manning an elite quarterback "for sure"". NBC Sports. Retrieved March 14, 2012. ^ "Rex Grossman shines as Redskins defeat Giants". ESPN.com. September 11, 2011. ^ "New York Giants at Washington Redskins - September 11th, 2011". Pro-Football-Reference.com. Retrieved January 3, 2018. ^ "New York Giants at Philadelphia Eagles - September 25th, 2011". Pro-Football-Reference.com. Retrieved April 3, 2018. ^ "2011 NFL Week 3 Leaders & Scores". Pro-Football-Reference.com. Retrieved April 3, 2018. ^ a b "Eli Manning Game Logs". NFL. Retrieved December 17, 2015. ^ "Giants shock Patriots in final seconds as Eli Manning one-ups Tom Brady". November 6, 2011. ^ "2011 NFL Pro Bowlers". Pro-Football-Reference.com. Retrieved April 3, 2018. ^ "2011 NFL Standings & Team Stats". Pro-Football-Reference.com. Retrieved January 28, 2018. ^ "Wild Card - Atlanta Falcons at New York Giants - January 8th, 2012". Pro-Football-Reference.com. Retrieved January 3, 2018. ^ "Eli Manning brilliant as Giants oust top-seeded Packers to book spot in title game". January 15, 2012. ^ "Giants stun 49ers with OT field goal to set up Super rematch with Patriots". January 22, 2012. ^ "Giants Passing Records, Playoffs". ^ Bauder, David (February 6, 2012). "Super Bowl Ratings Record: Giants-Patriots Game Is Highest-Rated TV Show In US History". Huffington Post. Archived from the original on February 7, 2012. Retrieved March 14, 2012. ^ Hack, Damon (February 13, 2012). "One Giant Leap For Manningkind: Pitted once more against the favored and flashy Patriots, Eli Manning and Big Blue proved superior on the biggest stage with a pulse-pounding victory in Super Bowl XLVI that will echo all the way to Canton". Sports Illustrated. Retrieved March 17, 2012. ^ "Eli Manning, Giants thwart Pats again to cap magical run with 4th Super Bowl". February 5, 2012. ^ Hubbuch, Bart (February 6, 2012). "Bradshaw's accidental TD works out fine for Giants". New York Post. Retrieved March 14, 2012. ^ "Super Bowl XLVI: Ahmad Bradshaw scores Super Bowl winning touchdown – by accident". The Telegraph. February 6, 2012. Retrieved March 14, 2012. ^ "Eli Manning wins 2nd Super Bowl MVP award". The Wall Street Journal. Associated Press. February 5, 2012. Archived from the original on January 7, 2016. Retrieved March 14, 2012. ^ Bondy, Filip (January 17, 2012). "If NY Giants beat San Francisco 49ers and go on to win Super Bowl XLVI against Ravens or Patriots, they would be the worst champion ever, record-wise". New York Daily News. Retrieved March 14, 2012. ^ Donik, Verena (February 7, 2012). 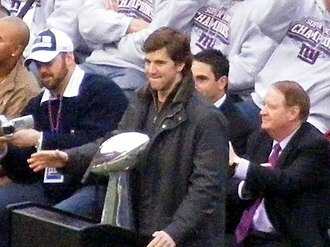 "New York Giants Parade: Super Bowl Champs Celebrated At City Hall". The Huffington Post. Archived from the original on February 10, 2012. Retrieved March 14, 2012. 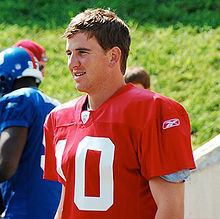 ^ "'The Top 100: Players of 2012': Eli Manning". NFL.com. Retrieved April 3, 2018. ^ "Giants Passing Franchise Records". Pro-Football-Reference.com. Retrieved December 3, 2018. ^ "Tampa Bay Buccaneers at New York Giants - September 16th, 2012". Pro-Football-Reference.com. Retrieved December 3, 2018. ^ "GameDay: Buccaneers vs. Giants highlights". NFL.com. ^ "New York Giants at Atlanta Falcons - December 16th, 2012". Pro-Football-Reference.com. ^ "Philadelphia Eagles at New York Giants - December 30th, 2012". Pro-Football-Reference.com. Retrieved January 3, 2018. ^ a b "Eli Manning 2012 Game Log". Pro-Football-Reference.com. Retrieved January 3, 2018. ^ "2012 NFL Standings & Team Stats". Pro-Football-Reference.com. Retrieved January 28, 2018. ^ "QB Eli Manning added to 2013 Pro Bowl". New York Giants. Archived from the original on October 23, 2017. Retrieved January 25, 2018. ^ "Denver Broncos at New York Giants - September 15th, 2013". Pro-Football-Reference.com. Retrieved January 3, 2018. ^ "Seattle Seahawks at New York Giants - December 15th, 2013". Pro-Football-Reference.com. Retrieved January 3, 2018. ^ "Eli Manning 2013 Game Log". Pro-Football-Reference.com. Retrieved January 3, 2018. ^ Eli Manning profile – National Football League, Yahoo! Sports; accessed February 6, 2014. ^ "Eli becomes Giants' all-time passing leader". ^ "Eli Manning becomes New York Giants' all-time passing leader". NFL.com. ^ "'Top 100 Players of 2013': Eli Manning". NFL.com. Retrieved April 3, 2018. ^ "San Francisco 49ers at New York Giants - November 16th, 2014". Pro-Football-Reference.com. Retrieved January 3, 2018. ^ "2014 New York Giants Statistics & Players". Pro-Football-Reference.com. Retrieved January 28, 2018. ^ "Eli Manning 2014 Game Log". Pro-Football-Reference.com. Retrieved January 3, 2018. ^ Hanzus, Dan (September 11, 2015). "Eli Manning, Giants agree on 4-year, $84M extension". NFL.com. Retrieved September 11, 2015. ^ "San Francisco 49ers at New York Giants - October 11th, 2015". Pro-Football-Reference.com. Retrieved April 3, 2018. ^ "2015 NFL Week 5 Leaders & Scores". Pro-Football-Reference.com. Retrieved April 3, 2018. ^ "New York Giants at New Orleans Saints - November 1st, 2015". Pro-Football-Reference.com. Retrieved January 3, 2018. ^ "New York Giants at Miami Dolphins - December 14th, 2015". Pro-Football-Reference.com. Retrieved April 3, 2018. ^ "2015 NFL Week 14 Leaders & Scores". Pro-Football-Reference.com. Retrieved April 3, 2018. ^ "2015 New York Giants Statistics & Players". Pro-Football-Reference.com. Retrieved January 28, 2018. ^ "Eli Manning 2015 Game Log". Pro-Football-Reference.com. Retrieved January 3, 2018. ^ "Eli Manning Advanced Stats and Metrics Profile: Touchdowns". PlayerProfiler.com. ^ Alper, Josh. "Eli Manning replaces Ben Roethlisberger in Pro Bowl". ProFootballTalk. ^ "Player Season Finder Query Results - Pro-Football-Reference.com". June 2, 2016. Archived from the original on June 2, 2016. ^ "'Top 100 Players of 2016': No. 47 Eli Manning". nfl.com. Retrieved February 8, 2017. ^ "New York Giants at Dallas Cowboys - September 11th, 2016". Pro-Football-Reference.com. Retrieved January 3, 2018. ^ "Baltimore Ravens at New York Giants - October 16th, 2016". Pro-Football-Reference.com. Retrieved January 3, 2018. ^ "Philadelphia Eagles at New York Giants - November 6th, 2016". Pro-Football-Reference.com. Retrieved January 3, 2018. ^ "New York Giants at Philadelphia Eagles - December 22nd, 2016". Pro-Football-Reference.com. Retrieved January 3, 2018. ^ "2016 NFL Standings & Team Stats". Pro-Football-Reference.com. Retrieved January 3, 2018. ^ "2016 New York Giants Statistics & Players". Pro-Football-Reference.com. Retrieved January 28, 2018. 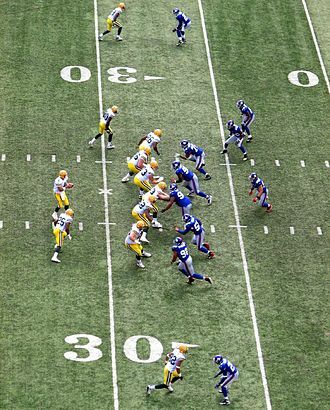 ^ "NYG-GB grades: Passing game leads Packers to victory - NFL Analysis - Pro Football Focus". www.profootballfocus.com. ^ "Wild Card - New York Giants at Green Bay Packers - January 8th, 2017". Pro-Football-Reference.com. Retrieved January 28, 2018. ^ "Eli Manning 2016 Game Log". Pro-Football-Reference.com. Retrieved January 28, 2018. ^ "Eli Manning, Larry Fitzgerald share Man of the Year Award". nbcsports.com. Retrieved February 8, 2017. ^ "Walter Payton Man of the Year Winners". Pro-Football-Reference.com. Retrieved April 3, 2018. ^ "New York Giants at Dallas Cowboys - September 10th, 2017". Pro-Football-Reference.com. Retrieved January 28, 2018. ^ "New York Giants at Philadelphia Eagles - September 24th, 2017". Pro-Football-Reference.com. Retrieved January 28, 2018. ^ "New York Giants at Tampa Bay Buccaneers - October 1st, 2017". Pro-Football-Reference.com. Retrieved January 28, 2018. ^ "Los Angeles Chargers at New York Giants - October 8th, 2017". Pro-Football-Reference.com. Retrieved January 28, 2018. ^ "New York Giants at Denver Broncos - October 15th, 2017". Pro-Football-Reference.com. Retrieved January 28, 2018. ^ "Seattle Seahawks at New York Giants - October 22nd, 2017". Pro-Football-Reference.com. Retrieved January 28, 2018. ^ "Eli Manning is 7th quarterback to eclipse 50,000 career passing yards". SB Nation. Retrieved November 5, 2017. ^ Bergman, Jeremy. "McAdoo won't rule out benching Eli during season". NFL. Retrieved November 6, 2017. ^ "Manning streak to end as Giants go with Smith". ESPN.com. Retrieved November 28, 2017. ^ Eisen, Michael (November 28, 2017). "Geno Smith to start at quarterback on Sunday". giants.com. Archived from the original on November 28, 2017. Retrieved November 28, 2017. ^ "Former Giants react to Eli Manning's benching". Newsday. Retrieved November 30, 2017. ^ "Eli Manning to replace Geno Smith as Giants' starter". NFL. Retrieved December 5, 2017. ^ "Philadelphia Eagles at New York Giants - December 17th, 2017". Pro-Football-Reference.com. Retrieved January 3, 2018. ^ "Washington Redskins at New York Giants - December 31st, 2017". Pro-Football-Reference.com. Retrieved January 28, 2018. ^ "2017 New York Giants Statistics & Players". Pro-Football-Reference.com. Retrieved January 28, 2018. ^ Shook, Nick (January 26, 2018). "Pat Shurmur ready to start Giants run with Eli Manning". NFL.com. Retrieved January 26, 2018. ^ "Manning throws 2 TDs as Giants beat Texans 27-22 for 1st win". Boston Herald. Retrieved October 30, 2018. ^ "Giants lose to Falcons, drop to 1-6". Newsday. Retrieved December 11, 2018. ^ Cite error: The named reference glog was invoked but never defined (see the help page). ^ "Manning's late TD pass leads Giants past 49ers 27-23". USA TODAY. Retrieved December 11, 2018. ^ Canavan, Tom. "Barkley scores 3 TDs, Manning throws 2, Giants win again". Courant.com. Retrieved December 11, 2018. ^ Carrucci, Vic (February 4, 2008). 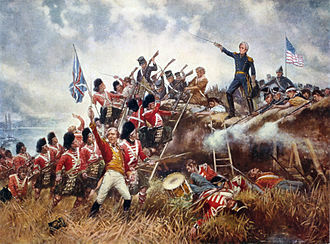 "Manning's coronation is complete with stunning victory". NFL.com. Archived from the original on February 5, 2008. Retrieved February 4, 2008. ^ "Eli Manning wins 2nd Super Bowl MVP award". si.com. AP. February 5, 2012. Archived from the original on June 17, 2013. Retrieved February 5, 2012. ^ "2015 NFL Passing Season Leaders Encyclopedia". pro-football-reference.com. ^ Hojnacki, Sean (June 10, 2012). "NY Giants' Eli Manning: The Most Clutch Quarterback Since Joe Montana". Bleacher Report. Retrieved December 21, 2013. ^ Dorish, Joe (August 25, 2013). "Longest Pass Plays and Touchdown Passes in NFL History". Yahoo! Voices. Archived from the original on July 29, 2014. Retrieved December 21, 2013. ^ "NFL Passing Yards Single-Season Playoffs Leaders". Pro-Football-Reference.com. Retrieved October 30, 2018. ^ "Records set in Super Bowl XLVI". Pro Football Weekly. February 6, 2012. Archived from the original on February 14, 2012. Retrieved December 21, 2013. ^ Allen, Scott. "Giants end Eli Manning's 13-year streak, will start Geno Smith". Washington Post. Retrieved October 30, 2018. ^ "Eli's Sweet 15: All of the Giant QB's 4th quarter TDs". Retrieved January 25, 2018. ^ "Glauber: Cruz's 99-yard TD still haunts Rex". Retrieved January 25, 2018. ^ "Eli Manning is No. 41 on Louisiana's all-time top 51 athletes list". 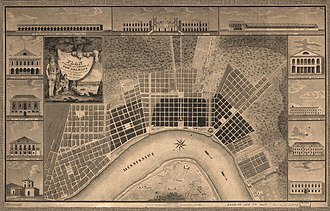 NOLA.com. Retrieved December 11, 2018. 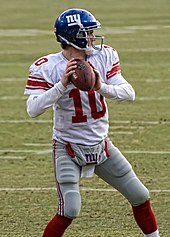 ^ a b c "New York Giants Single-Season Passing Leaders - Pro-Football-Reference.com". Pro-Football-Reference.com. Retrieved January 25, 2018. ^ "New York Giants Career Passing Leaders - Pro-Football-Reference.com". Pro-Football-Reference.com. Retrieved January 25, 2018. ^ "Cruz changes game with 99-yard touchdown". Retrieved January 25, 2018. ^ "Mind-blowing stats for the New York Giants". Retrieved January 25, 2018. ^ a b c d Michael McCarthy (January 30, 2008). "Eli's rise could bring lots of zeroes through endorsements". USA Today. Retrieved February 9, 2008. ^ a b Furman, Phyllis; Melago, Carrie (January 20, 2008). "Eli Manning piling up endorsements". New York Daily News. Retrieved February 9, 2008. ^ Heide Winkenwerder (June 1, 2007). "Citizen Watch Signs New York Giants Quarterback Eli Manning To Headline 'Unstoppable' Ad Campaign". Fashion Window. Archived from the original on October 11, 2007. Retrieved February 9, 2008. ^ "Eli Manning engaged to Abby McGrew". TransWorldNews. October 28, 2007. Archived from the original on January 19, 2008. Retrieved January 22, 2008. ^ "Famous Sigma Nus". ekusigmanu.com. Retrieved December 11, 2018. ^ Stephen M. Silverman (March 22, 2007). "NY Giants' Eli Manning, Girlfriend Engaged". People. Retrieved January 22, 2008. ^ "Eli Manning is Engaged". Celebspin.com. Archived from the original on February 1, 2008. Retrieved January 22, 2008. ^ Jo Piazza (April 19, 2008). "Giants' Eli Manning married in Mexico". New York Daily News. Retrieved April 20, 2008. ^ "Eli Manning & Abby McGrew Wed on the Beach". ^ a b Maresca, Rachel (July 4, 2013). "Eli Manning's wife, Abby, gives birth to baby girl". New York Daily News. Retrieved July 4, 2013. ^ "We welcome another Manning to the @Giants Family". New York Giants verified Twitter page. July 4, 2013. Retrieved July 4, 2013. ^ "Eli Manning Welcomes Daughter Caroline Olivia". People. Retrieved April 6, 2015. ^ Mullins, Michael D. "Was it the shoes? Local fan says he has secret of Giants' success, as city plans celebration" Archived March 3, 2016, at the Wayback Machine, Hudson Reporter, February 19, 2008; accessed February 6, 2013. "City officials said that besides quarterback Eli Manning, who lives in the Hudson Tea Building on 15th Street, linebackers Kawika Mitchell and Mathias Kiwanuka are Hoboken residents." ^ Marsha Walton (September 5, 2005). "Manning brothers team up for Katrina relief". CNN. Retrieved January 22, 2008. ^ "Friends of Children's Hospital: An Evening with the Mannings 2008". FOCH.org. Archived from the original on February 10, 2008. Retrieved March 25, 2011. ^ President's Council on Physical Fitness and Sports (February 6, 2012). "About the Council: Council Members Biographies". Archived from the original on October 22, 2004. Retrieved February 6, 2012. 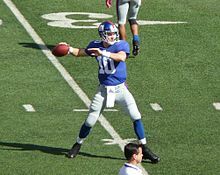 Wikimedia Commons has media related to Eli Manning. The 2012 Pro Bowl was the National Football Leagues all-star game for the 2011 season. It took place at 2,00 pm local time on Sunday, January 29,2012 at Aloha Stadium in Honolulu, the AFC defeated the NFC, 59–41. The 59 points scored by the AFC team were a Pro Bowl record, the AFC team was coached by Gary Kubiak of the Houston Texans while Green Bay Packers head coach Mike McCarthy led the NFC all-stars. The referee for the game was Walt Coleman, the telecast of the game garnered a Nielsen rating of 7.9 nationally. While this represented an eight percent drop over the 2011 Pro Bowl ratings, the game drew more viewers than the 2011 Major League Baseball All-Star Game. 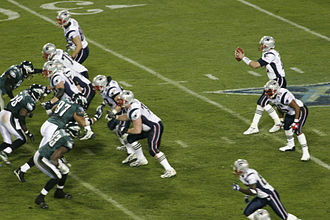 NBC broadcast the 2013 game as Super Bowl broadcaster CBS had declined to carry it, the NFL loosened its rules which forbid players from communicating via social media during games, by setting up a computer on each sideline to allow players to use Twitter. Washington Redskins linebacker London Fletcher used the occasion to propose a contest among his Twitter followers to predict the final score. The 2013 Pro Bowl was the National Football Leagues sixty-third annual all-star game which featured players from the 2012 season. It took place at 2,30 pm Hawaii–Aleutian Time on Sunday, January 27,2013 at the Aloha Stadium in Honolulu, the game was televised nationally by NBC in place of CBS. The game was delayed for 30 minutes due to flood warnings. John Fox of the AFC West Denver Broncos led the AFC home team against a visiting NFC team that was coached by the Green Bay Packers head coach Mike McCarthy of the NFC North. These coaches were selected for coaching the highest seeded team to lose in the Divisional Round of the playoffs, ed Hochuli was the game referee. Players on the team each earned $50,000, while players on the losing team earned $25,000. The Houston Texans and San Francisco 49ers had the most Pro Bowl selections with nine, the Kansas City Chiefs, despite only winning two games, had six selections. Six teams, the Carolina Panthers, Philadelphia Eagles, St. Louis Rams, Tennessee Titans, Jacksonville Jaguars, three rookie quarterbacks were selected, which is the most in Pro Bowl history. Oklahoma State Cowboys and Cowgirls are the athletic teams that represent Oklahoma State University. The programs mascot is a cowboy named Pistol Pete, Oklahoma State participates at the National Collegiate Athletic Association s Division I Football Bowl Subdivision as a member of the Big 12 Conference. The universitys current athletic director is Mike Holder, in total, Oklahoma State has 51 NCAA team national titles, which ranks fourth in most NCAA team national championships. These national titles have come in wrestling, basketball, the 1945 Oklahoma A&M football team was retroactively awarded a national title in October 2016 by the American Football Coaches Association. Prior to 1957, OSU was known as Oklahoma A&M, as was common with most land-grant schools, its teams were known for many years as Aggies. However, in 1923, A&M was looking for a new mascot to replace its pet tiger, a group of students saw Frank Eaton leading the Armistice Day Parade. He was approached to see if he would be interested in being the model for the new mascot, the caricature, Pistol Pete, that was drawn that year is more or less the same as the one in use today. Only a few decades removed from the cattle drive era, the cowboy was still an important figure in the Southwest, the new mascot had become so popular that by 1924, Charles Saulsberry, sports editor of the Oklahoma City Times, began calling A&Ms teams the Cowboys. Aggies and Cowboys were used interchangeably until A&M was elevated to university status in 1957, the Waving Song is one of the fight songs for Oklahoma State. At Oklahoma State football games, the song is played by the Cowboy Marching Band during the pregame traditions, following touchdowns, for other athletic events, the Waving Song is played after an OSU victory as the start of the fight song trilogy. While the song is played, fans wave their arms in the air. The songs melody is that of The Streets of New York, the lyrics used by Oklahoma State were written by H. G. Seldomridge, a professor who heard the tune on a visit to New York City. The original lyrics used the abbreviation OAMC in place of Oklahoma State and it was first sung in 1908 at a follies show at Stillwaters Grand Opera House. Bryan Bartlett Bart Starr is a former professional American football player and coach. He played quarterback for the Green Bay Packers of the National Football League from 1956 through 1971, Starr was the only quarterback in history to lead a team to five league championships, before Tom Brady tied the record during the 2016 season. Bart led his team to victories in two Super Bowls, I and II, as the Packers head coach, he was less successful, compiling a 52–76–3 record from 1975 through 1983. Starr was named the Most Valuable Player of the first two Super Bowls and earned four Pro Bowl selections and he was inducted into the Pro Football Hall of Fame and the Packers Hall of Fame in 1977. He won the league MVP award in 1966, Starr has the highest postseason passer rating of any quarterback in NFL history and a postseason record of 9–1. His career completion percentage of 57.4 was an NFL best when he retired in 1972, Starr held the Packers franchise record for games played for 32 years, through the 2003 season. 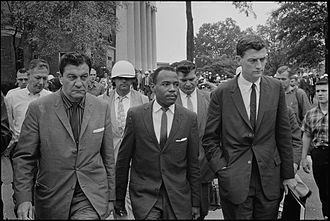 Starr played college football at the University of Alabama and was selected by the Green Bay Packers in the 17th round of the 1956 NFL draft. Born and raised in Montgomery, Starrs parents were Benjamin Bryan Starr, a foreman with the state highway department. Starr’s early life was marked by hardships, shortly after the start of World War II, his fathers reserve unit was activated and his was first in the U. S. Army but transferred to the U. S. Air Force for his military career. Starr had a brother, Hilton E. Bubbly Starr. In 1946, Bubbly stepped on a dog bone while playing in the yard, Starr’s relationship with his father deteriorated after Hilton’s passing. He was a child who rarely showed his emotions and his father pushed Starr to develop more of a mean streak. Starr attended Sidney Lanier High School in Montgomery, and tried out for the team in his sophomore year. His father gave him the option of playing football or working in the family garden, in his junior year, the starting quarterback broke his leg and Starr became the starter. The Super Bowl Most Valuable Player Award, or Super Bowl MVP, is presented annually to the most valuable player of the Super Bowl, the National Football Leagues championship game. The winner is chosen by a fan vote during the game, the media panels ballots count for 80 percent of the vote tally, while the viewers ballots make up the other 20 percent. The games viewing audience can vote on the Internet or by using cellular phones, Super Bowl XXXV, the Super Bowl MVP has been awarded annually since the games inception in 1967. Through 1989, the award was presented by SPORT magazine, bart Starr was the MVP of the first two Super Bowls. Since 1990, the award has been presented by the NFL, at Super Bowl XXV, the league first awarded the Pete Rozelle Trophy, named after the former NFL commissioner, to the Super Bowl MVP. Ottis Anderson was the first to win the trophy, Most award winners have received cars from various sponsors. The most recent Super Bowl MVP was New England Patriots quarterback Tom Brady, Brady is the only player to have won four Super Bowl MVP awards, Joe Montana has won three and three others—Starr, Terry Bradshaw, and Eli Manning—have won the award twice. Thomas Edward Patrick Brady Jr. is an American football quarterback for the New England Patriots of the National Football League. He is one of two players to win five Super Bowls, the only quarterback to win five and the only player to win them all playing for one team. 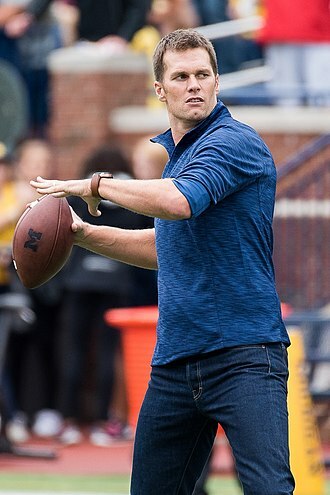 After playing college football for the University of Michigan, Brady was drafted by the Patriots in the round of the 2000 NFL Draft. In Bradys 15 seasons as a starter, he has quarterbacked the Patriots to seven Super Bowl appearances, as of the end of the 2016 season, Brady is fourth all-time in career passing yards, fourth in career touchdown passes, and third in career passer rating. His career postseason record is 25–9, winning more games than any other quarterback. Brady has never had a season as a starting quarterback in the NFL. His 208 combined regular-season and postseason wins are the most of any quarterback in NFL history, because of his accomplishments and accolades, many analysts and sportswriters consider Brady to be among the greatest quarterbacks of all time. Due to his draft selection, Brady is considered to be the biggest steal in the history of the NFL Draft. Brady was born in San Mateo, the son and fourth child of Galynn Patricia and Thomas Brady. He has three sisters named Nancy and Maureen. Bradys great uncle, Michael Buckley Jr. was, also, at the age of four, Brady attended the 1981 NFC Championship against the Dallas Cowboys, in which Montana threw The Catch to Dwight Clark. As a child, Brady attended football camp at the College of San Mateo where he learned to throw the football from camp counselor and he grew up as a Los Angeles Lakers and Boston Celtics fan. Brady attended Junípero Serra High School in San Mateo, where he graduated in 1995 and he played football and baseball in high school. He played against Bellarmine College Preparatory rival Pat Burrell in both football and baseball, Bradys football career started as the backup quarterback on the Padres JV team. At first, Brady was not good enough to start on the 0–8 JV team that had not scored a touchdown all year, when the starting quarterback went down with an injury, he ascended to the starting position. Archie with his son, Peyton, in January 2017. The 1945 championship basketball team. Starr with Packers head coach Vince Lombardi in the 1960s.